All log and event data available at a central location. This will help detect and fix errors and problems faster. The goal is satisfied customers due to fewer failures and downtimes through proactive monitoring of all important parameters. Search your data without knowing all the basic conditions beforehand. Discover more information while analyzing search results. Horizontal scaling for a workload of any size. From one or two gigabytes to several terabytes per day. Of course, the necessary fault tolerance is already integrated and allows load-distributed and highly available work. Search, analyze and visualize immediately all relevant data on one screen. Search and investigate multiple problems simultaneously and quickly and reliably find the needle in a haystack. With the help of parallel data processing, the whole goes in no time. Graylog has a powerful API that allows almost complete control and configuration of the system. From managing and creating streams to user administration. 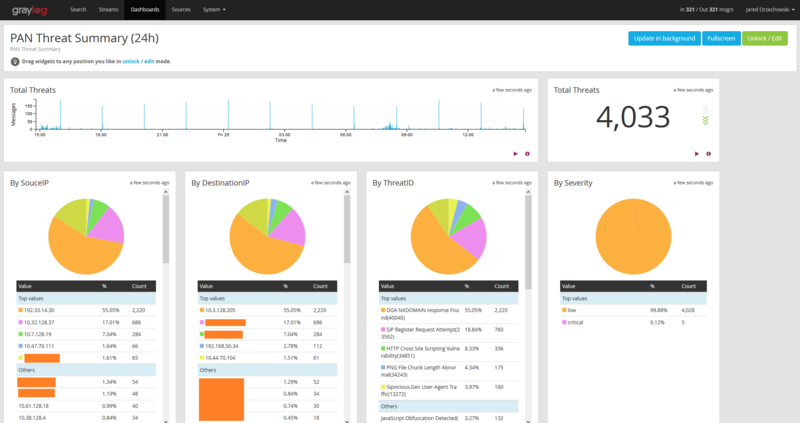 The fast and central storage of data Graylog can be used for a variety of scenarios. The focus is on security and compliance, but also applications in modern IT operations and DevOps environments. Analyze your data and find problems even faster by being able to examine multiple attack vectors simultaneously. Use the multi-threaded search to quickly edit datasets. Saving the search is not necessary to work on it later. Automatically archive the data that is not often searched and needed. These data are stored on less expensive and slower hard drives and are only made available for search when they are needed. The perfect compromise between performance and economy. NETWAYS is the first European partner to offer comprehensive consulting and enterprise subscriptions to Graylog.